Turkey is the main attraction at thanksgiving dinner not just because it is the main dish but also because it is the symbol of thanksgiving festival. Many Americans believed that thanksgiving feasts is incomplete without a turkey at the dinner table. However, if you are only going to serve a low quality bird on an important occasion wherein your family and guests will get sick or turn off by the taste of the meat then you might as well forego the thanksgiving tradition. The quality of your bird is important when you want your main dish to be the talk of the town as bad tasting turkey can spoil the dinner. That’s why you should choose only the best turkey for thanksgiving to prevent spoiling your dinner. 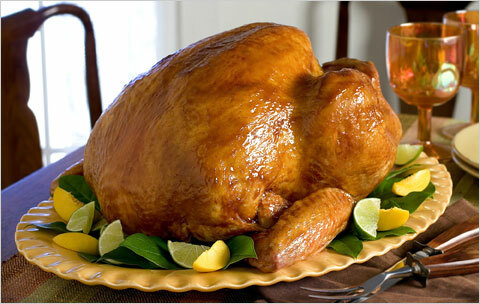 In this post, you will learn some helpful tips on buying bird for Thanksgiving Day. Before I discuss my useful tips for buying turkey, let me talk about America’s favorite bird and holiday centerpiece. In America, 90% of American households eat turkey on Thanksgiving Day, so it is not surprising that over 45 million turkeys are cooked and eaten yearly. Unfortunately, not all birds created the same as some turkey farms raised their birds unconventionally. Turkeys raised in a conventional farm allowed run to around and eat actual food, probably why these birds have a different texture and flavor compared to the fast growing turkeys bred to put on more weight fast. If you do not know these facts, then there is no reason for you to be picky, which is a bad thing. Take note, it is crucial to be fussy when it comes to the food you buy as your safety and satisfaction depends on what you buy. An USDA approved grade A turkey no longer guarantee you will get the best and safe bird, simply because there are other factors that can affect the quality of the turkey. If you don’t know what to look for when buying turkey in the supermarket then you definitely need to keep in mind my tips, to find the best bird. The following are things to keep in mind when buying turkey for thanksgiving. These tips can help you buy the best turkey for thanksgiving festival. When buying turkey do not just rely on the label. Check if the bird conventionally grown turkey or not, even if the label says “Young.” keep in mind conventional turkeys are grown in just under five months, so even if it’s a young turkey, there is no guarantee you are buying the best. Slow growing birds taste better because of the environment and the food they eat. Kosher turkeys are well liked because the inside and out of the bird has been salted to taste better and to remove blood. Kosher turkeys are a good option, and since it is not just for Jews, then don’t scratch it off your option. Frozen birds according to study actually taste better than fresh also more mushy unless of course, you are buying higher end birds then you better stick to fresh. But if you are buying birds at a supermarket, and not straight from the farm then please consider frozen turkey. A fresh turkey is more expensive and does not require thawing, that’s why it is an excellent choice when you don’t have a lot of time to prepare. However, you should order in advance from your favorite butcher. And buy the bird the day before you plan on cooking your turkey. 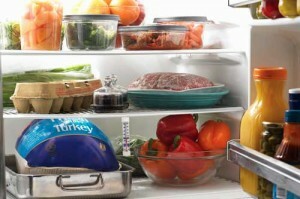 Frozen turkeys require sufficient thawing time, so buy your bird three days before thanksgiving dinner. It is also less expensive and best of all, available year round. Prebasted birds are turkeys injected with stock or liquid water. Usually the stocks contain spices, flavor enhancers, and even fats. If you want to know if the injected bird safe to eat, better read the label to know what are the ingredients and the weight of the bird when it was injected. Bear in mind that it is best to know what you are paying for to be safe. Basted birds taste great, but some people find the taste to salty. But if you hate salty turkey, might as well buy a regular turkey and brine it yourself. Buying pre-stuffed birds or ready to cook turkey saves time. In fact, it is practical especially if you consider the preparations and work you no longer have to do, but I do not suggest this type of turkey. You see, there is a high probability that stuffed turkey promote bacterial growth, which can cause diarrhea and other illnesses. 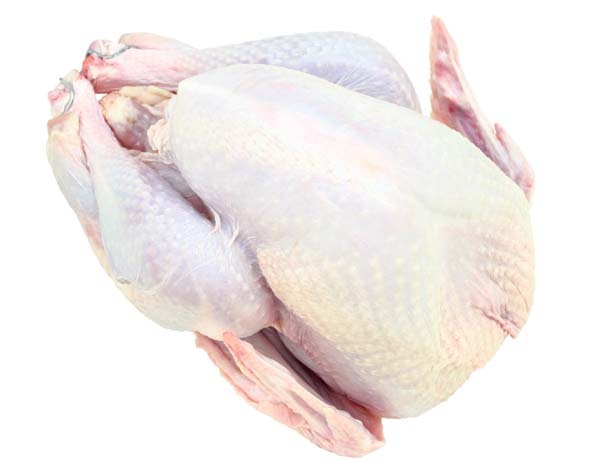 When buying fresh turkey, inspect carefully for skin discoloration and signs of freezer burn. You should also see if any part of the bird has been frozen or started to freeze. The package should have no ice crystals inside. Fresh birds should be free from any of these signs. 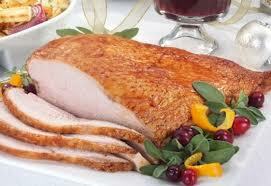 It is always best to buy USDA approved and grade-A quality turkey if you really want the best turkey. Never buy turkey from roadside sellers or unlicensed meat shop, consider buying only from reputable supermarket and meat shop. The best tasting bird is one that is 4-6 months old. 7-8 pounds of turkey can feed 10 people while 70 to 80 lbs of bird will feed 100 people. A person can consume 0.75 lbs to 1 ½ lbs of turkey, so multiply the number of guests to determine the weight of the bird you need for thanksgiving dinner. Buying two medium size turkeys is much better than buying a giant bird to cut cooking time. You can serve the first turkey and display the other whole bird to keep guests salivating. I hope you enjoy reading my useful and practical tips this coming Thanksgiving Day. Whatever turkey you decide to buy, it is important to keep in mind your safety and the welfare of your family. Buying frozen is good as long as you know what to watch out for, the same thing with a frozen turkey. These days, it does not matter whether it is a fresh or frozen bird as long as you use common sense when picking out your thanksgiving turkey.